The Avilas, named in honor of St. Teresa of Avila, is a group whose members pray for priests and religious, and for new vocations to the priesthood and religious life. The Avilas have adopted this as their special mission. They meet on the 2nd Tuesday of every month at 6:30 p.m. in the Chapel. Ministry devoted to the worship of Jesus in the Eucharist. 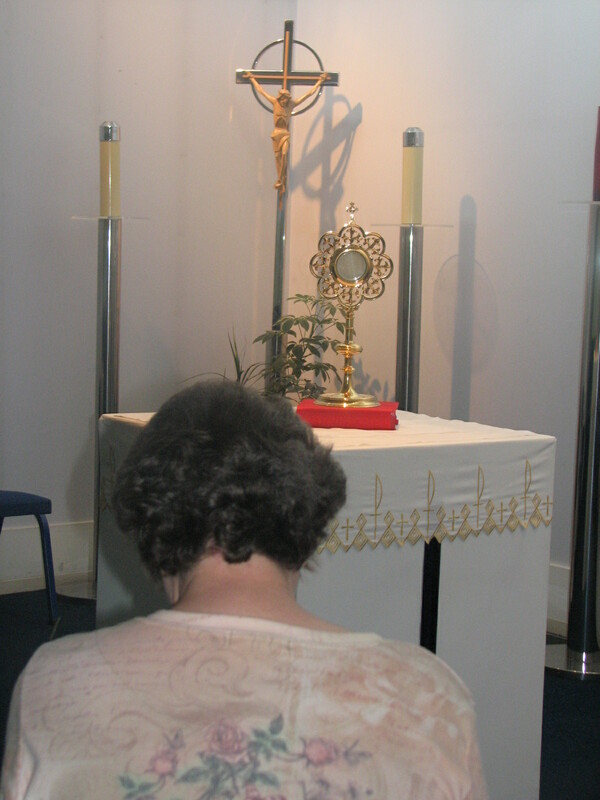 Provides the opportunity to spend quiet time in the Blessed Sacrament Chapel and to become closer to Jesus Christ. Monday – Friday, 9:00 a.m. to 12:00 a.m. The prayer shawl ministry sews shoulder wrap and lap blankets, either knitted or crocheted to offer “tangible evidence to those for whom we are praying.” Not only are prayers said while they are being made, but after completion a priest will bless them. We are helping to provide a hug from God to those who are in need. If you would like to volunteer, please call Louise at the Parish Office, 440-946-1177 or louise@stjustin.net. A number of parishioners offer their time in the ministry of prayer for special needs of our parish family. 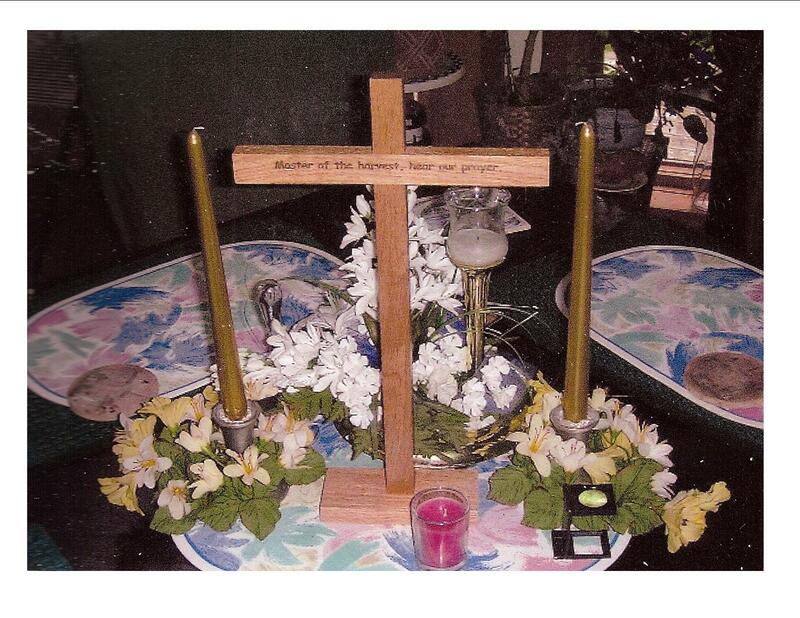 Please call the parish office to add your request to the Prayer Chain. Every Monday after the 7:00 p.m. Evening Mass the group meets to pray the rosary and the novena to Our Lady of the Miraculous Medal. The rosary is also often said after morning masses. Each Sunday a family, couple, or individual comes forward at one of the Masses to receive the vocation cross and a special prayer written to accompany it. In taking the cross they commit themselves to pray during the week, in the name of our parish, the vocation prayer in thanksgiving for all those generously sharing in Church ministry and in particular for the gift of priests, deacons, sisters and brothers to serve in our Cleveland Diocese. All are invited to participate in this program. Enhances prayer life, by providing refreshments at parish receptions; organizes and staffs monthly Donut Sundays; serves coffee and refreshments after holiday liturgies; offers assistance to other parish groups. Open to all parishioners. St. Joseph the worker is the patron of the rosary makers. The rosary makers make rosaries for local hospitals and whoever else needs or requests them. They meet the third Tuesday of every month. Plans programs and activities to help enhance the spiritual life of the parish. Open to all parishioners. Contact Charles Hunt at 946-3287 or sjmdre@gmail.com if you would like to join.